The idea is fairly simple, though naturally rather difficult to engineer: Use solar power to provide to a small community both electricity (in the form of charged batteries) and potable water. It’s not easy, and it’s not autonomous — but that’s by design. I met two of the OffGridBox crew, founder and CEO Emiliano Cecchini and U.S. director Troy Billett, much earlier this year at CES in Las Vegas, where they were being honored by Not Impossible, alongside the brilliant BecDot braille learning toy. The team had a lot of irons in the fire, but now are ready to announce their seed round and progress in deploying what could be a life-saving innovation. They’ve installed 38 boxes so far, some at their own expense and others with the help of backers. Each is about the size of a small shed — a section of a shipping container, with a scaffold on top to attach the solar cells. Inside are the necessary components for storing electricity and distributing it to dozens of rechargeable batteries and lights at a time, plus a water reservoir and purifier. Water from a nearby unsafe natural (or municipal, really) source is trucked or piped in and replenishes the reservoir. The solar cells run the purifier, providing clean water for cheap — around a third of what a family would normally pay, by the team’s estimate — and potentially with a much shorter trek. Simultaneously, charged batteries and lights are rented out at similarly low rates to people otherwise without electricity. Each box can generate as much as 12 kWh per day, which is split between the two tasks. The alternatives for these communities would generally be small dedicated solar installations, the upfront cost of which can be unrealistic for them. The average household spend for electricity, Billett told me, is around 43 cents per day; OffGridBox will be offering it for less than half that, about 18 cents. It doesn’t run itself: The box is administrated by a local merchant, who handles payments and communication with OffGridBox itself. Young women are targeted for this role, as they are more likely to be long-term residents of the area and members of the community. The box acts as a small business for them, essentially drawing money out of the air. OffGridBox works with local nonprofits to find likely candidates; the women pictured above were recommended by Women for Women. They in turn will support others who, for example, deliver or resell the water or run side businesses that rely on the electricity provided. There’s even an associated local bottled water brand now — “Amaziyateke,” named after a big leaf that collects rainwater, but in Rwanda is also slang for a beautiful woman. The company does do some work to keep the tech running efficiently and safely, remotely monitoring for problems and scheduling maintenance calls. So these things aren’t just set down and forgotten. That said, they can and have run for hundreds of thousands of hours — years — without major work being done. Each box costs about $15,000 to build, plus roughly another $10,000 to deliver and install. The business model has an investor or investors cover this initial cost, then receive a share of the revenue for the life of the box. At capacity usage this might take around two years, after which the revenue split shifts (from a negotiable initial split to 50/50); it’s a small, safe source of income for years to come. At around $10,000 of revenue per year per box with full utilization, the IRR is estimated at 15 percent. OffGridBox has been through the Techstars accelerator as part of a 2017 group, and worked through 2018, as I mentioned earlier, to secure funding from a variety of sources. This seed round totaling $1.6 million was led by the Doen and Good Energies Foundations; the Banque Populaire du Rwanda is also a partner. Along with a series A planned for 2019, this money will support the deployment of a total of 42 box installations in Rwandan communities. “This will help us become a major player in the energy and water markets in Rwanda while empowering women entrepreneurs, fighting biocontamination for improved health, and introducing lighting in rural homes,” said Cecchini in the press release announcing the funding. Alternative or complementary sources of power, such as wind, are being looked into, and desalination of water (as opposed to just sterilization) is being actively researched. This would increase the range and reliability of the boxes, naturally, and make island communities much more realistic. 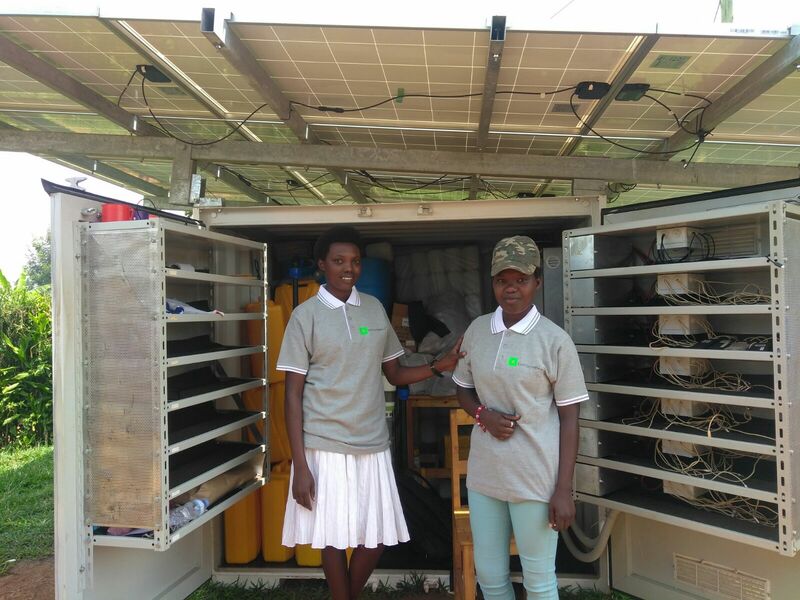 Those 42 boxes are just the beginning: The company hopes to deploy as many as 1,000 throughout Rwanda, and even then that would only reach a fifth of the country’s off-grid market. 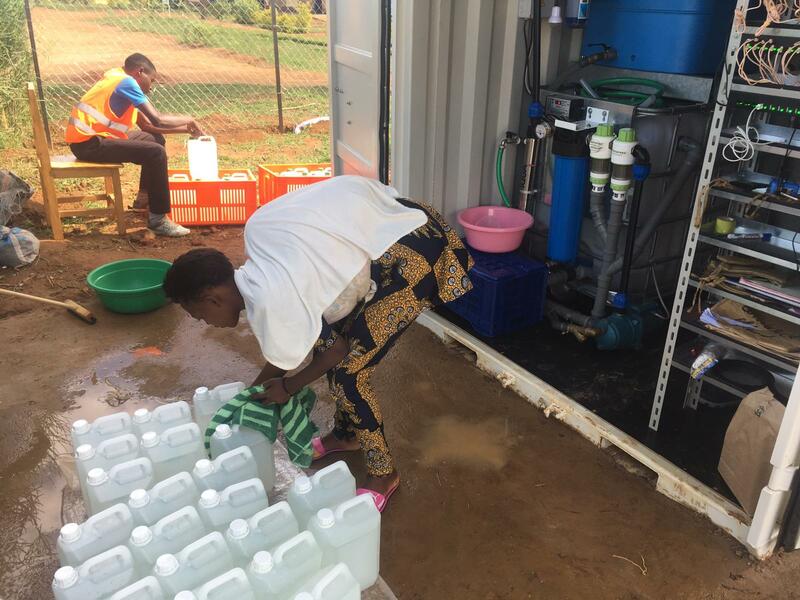 By partnering with local energy concerns and banks, OffGridBox hopes to deploy as many as 100 boxes a year, potentially bringing water and power to as many as 100,000 more people.